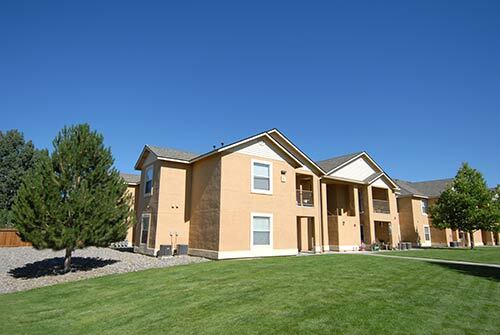 Discover Crestmore Village Apartment Homes and the breathtaking mountain views we offer. Crestmore Village is ideal for those seeking the ultimate in comfort as well as beauty and convenience. Our ideal location puts you just minutes away from local schools, fabulous shopping and fine dining! Our two, three and four bedroom floor plans were creatively designed with your comfort and convenience in mind. Our well-appointed apartment homes include fully equipped gourmet kitchens with an open serving bar and pantry, dishwasher, carpeted floors, energy efficient gas heating and water plus so much more! Our timeless elegance and fine quality provides the perfect retreat from the busy world. At Crestmore Village Apartment Homes we offer the apartment living options you need to create the picture-perfect lifestyle you love. Enjoy a lifestyle filled with endless comforts and conveniences with spacious patios and balconies, BBQ/picnic pavilion, basketball court, laundry facilities, on-call maintenance, and a management team who cares. Tour our photo gallery and see what Crestmore Village Apartment Homes has to offer!